The kids have had school holidays in October. 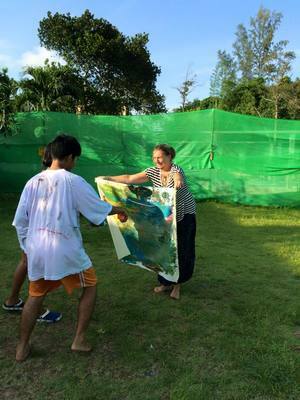 A holiday filled with art projects.They have visited the Art Village in Rawai where they were producing their own art of old rubbish, and at home they have been painted very beautiful paintings directed by Agneta. 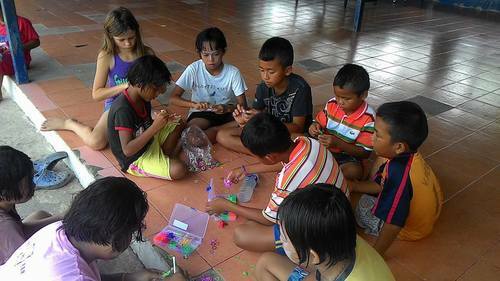 Annika from Happy Child has visited us with her daughter Nelly, who taught our children to make bracelets of rubber bands and to paint their own glass. 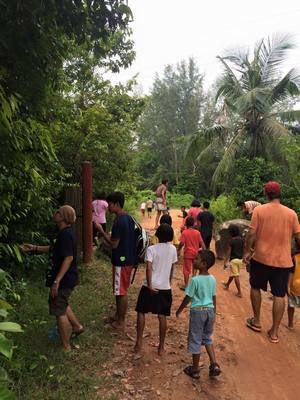 The children have also helped their society by among other things helped with the cleaning up in Temples. We all know how nice it is to do something for someone else sometimes. We have also had time to just chill, go swimming and tracking. Next week it is back to school again. And although it's been a really great school holiday, I think everyone is looking forward to get into the daily routine again.